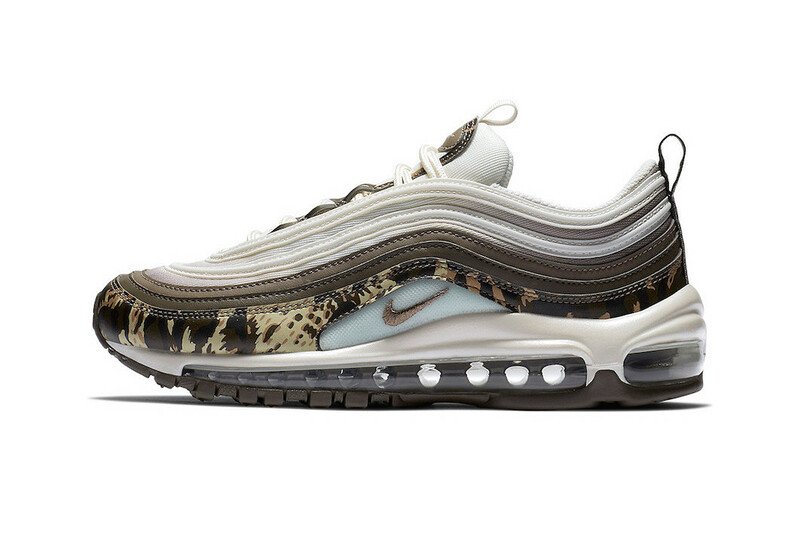 After donning an icy “Blue Hero” outfit, Nike‘s Air Max 97 returns to stealthier styles with a new two-colorway camouflage pack for Fall 2018. 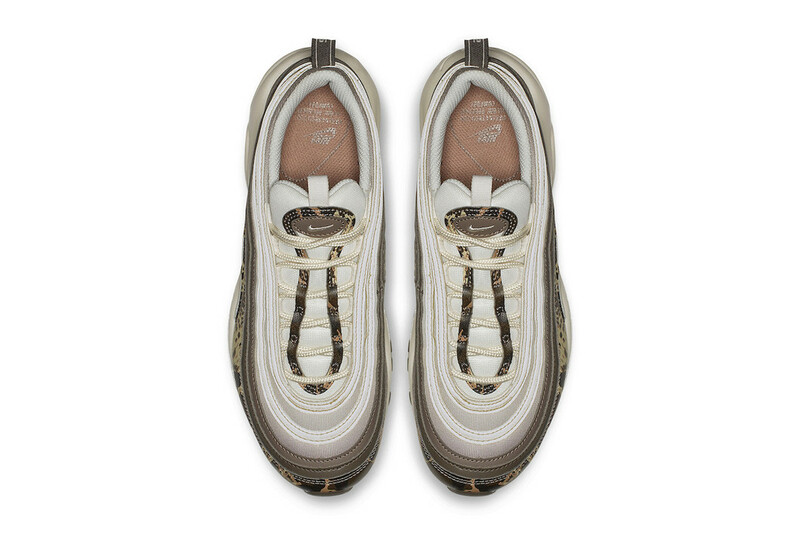 Offered in an olive green option and a black and grey scheme, this version of the Air Max 97 features a leather and mesh upper with the camo print appearing on the mudguard panel, tongue tab patch and lace trim. 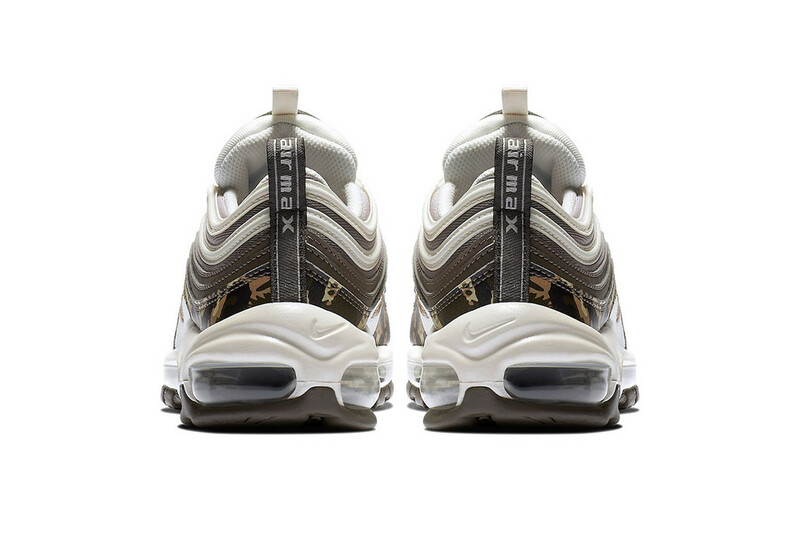 The olive green colorway sports white mesh detailing at the upper paneling and tongue, whereas the black and grey pair opts for black mesh tooling. 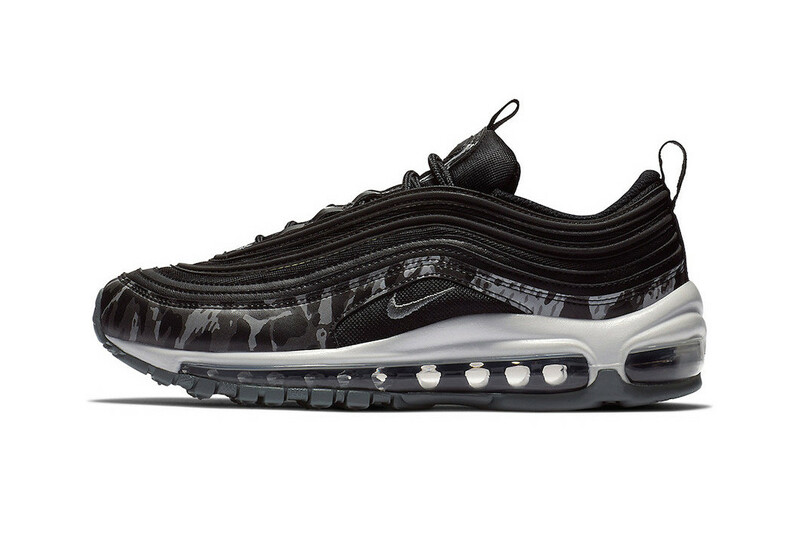 Both pairs feature a white Air Max sole unit and embroidered mini Swoosh branding at the side. 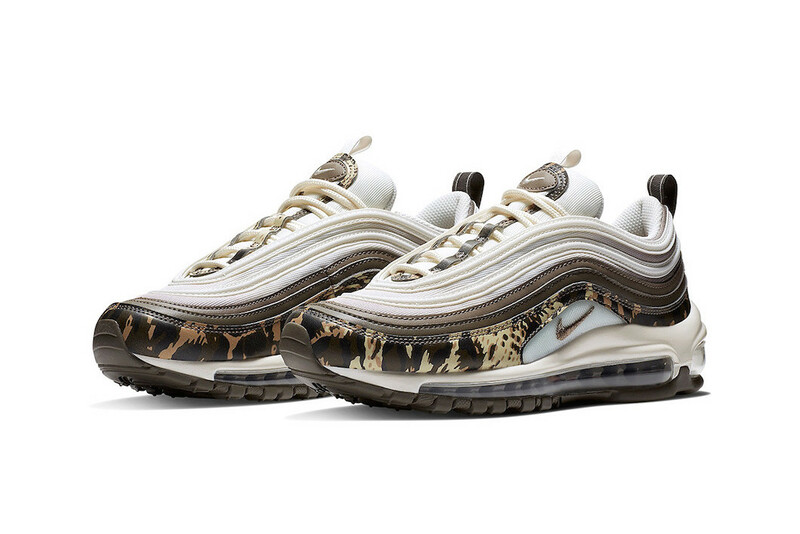 This Air Max 97 camouflage pack is slated to release sometime this Fall season at Nike’s web store and select retailers. 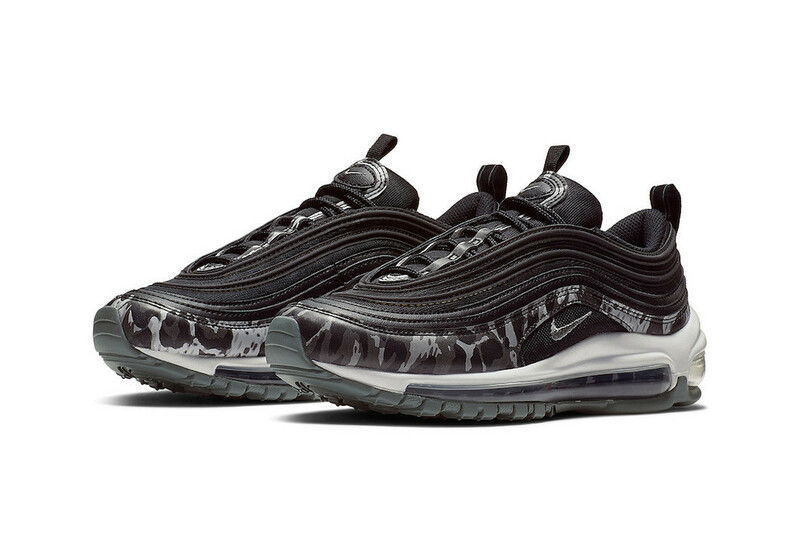 Stay tuned for more release details and for more camo print sneakers.